Crowdfunders may finally reap fiscal rewards from a movie they help finance as equity versions of sites such as Kickstarter gear up to launch next year. But one hurdle remains: The process isn’t quite legal yet. Made popular by platforms including Kickstarter and Indiegogo, crowdfunding has until now operated though a rewards-based system: People donate to film projects in exchange for onscreen credits or other non-equity incentives. But equity crowdfunding would allow investors to see a return on their money, opening the door for financiers to contribute from $100 up to $100,000 each toward the next breakout hit. That could in turn increase the amount of crowdfunding coin available to filmmakers. President Obama’s JOBS Act, signed into law in April, includes new provisions that would make equity crowdfunding legal. But the SEC has yet to set its guidelines, which leaves some uncertainty for startups, producers and investors preparing to pounce on the new opportunity. “We do not have a date for when the SEC might effect those rules,” said Sara Hanks, CEO of CrowdCheck, a due diligence and disclosure services group for companies seeking funding through online offerings. The SEC is currently in the early stages of the guideline process, which typically takes at least three months. EarlyShares, an equity crowdfunding startup run by Maurice Lopes and Stephen Temes, may be better positioned than most companies when the rules are cast. Lopes is a well-known figure in the crowdfunding world, and according to Temes, the company has already lined up 75,000 potential investors and about 2,300 companies that want to raise money on the site (although most of the latter aren’t exclusively entertainment companies). “Entertainment is a big focus of ours,” Temes told Variety. EarlyShares recently announced a pact with reality production shingle Five by Five Media, the company behind “Fashion Star” and upcoming action-adventure show “The Hero,” hosted by Dwayne Johnson. But the SEC must first tell potential crowdfunding platforms just how they can step into that void. Due diligence and its cost for crowdfunding portals are big issues. Disclosures on particular film investments, for example, may be unique in order to protect investors. Producers, talent and distribution must be verified, especially since accredited investors (usually individuals with annual income of at least $200,000) may require extensive disclosures. Ultimately, investors rely on the businesses in which they invest to pay them back. Accredited investors can invest up to $100,000 each, while unaccredited investors can put in up to $2,000. (A minimum investment of $100 per investor will be required.) The return on those investments would depend on the individual project or company. According to Kickstarter’s website, 70 projects have raised between $100,000 and $1 million to date. 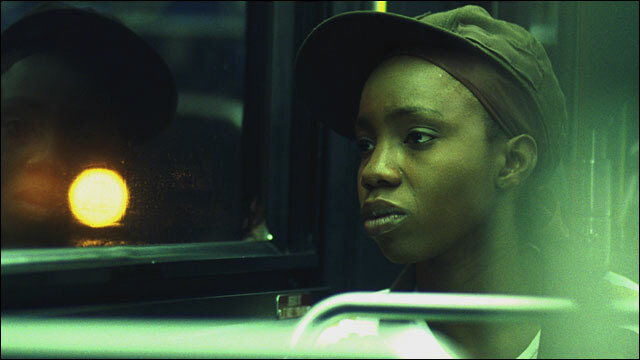 Dee Rees’ Sundance drama “Pariah” raised $11,011 and grossed more than $700,000. But examples of commercially successful crowdfunded projects are scant. Temes said that equity crowdfunding could also help larger-budget pictures with major studio distribution that need just a few million dollars to reach their budget goals. According to the guidelines in place, Temes said, clients can raise up to a million dollars per project through unaccredited investors, while accredited investors have no cap. That makes small-cap investors useful as a test market for any given project. But profit participant accounting can be confusing, even to the most sophisticated film investors. And accounting for a multitude of small-time investors who’ve funded, say, the next “Pariah” (above), could prove tricky. “At the end of the day, we are the exchange, and the companies are what are responsible,” Temes said. Many observers are hopeful that the SEC will lay out guidelines for equity crowdfunding by the second quarter of next year. Considering that the SEC will be breaking new ground, it’s essential that they take the time to get it right. “Money plus the Internet: Put those two together and you have the potential for mischief,” Hanks said. EarlyShares execs will host an informational live chat on its Facebook page Dec. 12.